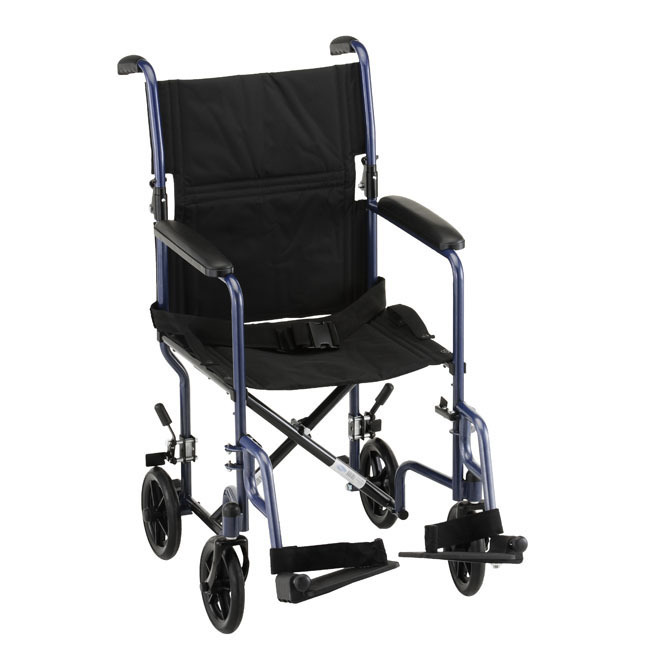 The Nova 19" Steel Transport Chair has a carbon steel frame and padded upholstery. The Nova 19" Steel Transport Chair has a carbon steel frame and padded upholstery. It is foldable and has a quick release fold-down back, as well as padded, fixed full-length arms for added comfort. This transport chair has locking rear wheels. Swing-Away. The only Nova Transport available in 4 colors! Footplate Height from Floor: 5 - 9"